As part of our ongoing support of four families in need, we will collect gift cards to be given to them. At Christmas, we supported four families in need. Two families were from Hudson, two were from Akron. Two with homes, two homeless. All with children. An update: Praise God! The two homeless families have moved from living in cars, through homeless shelters, and are now in apartments! 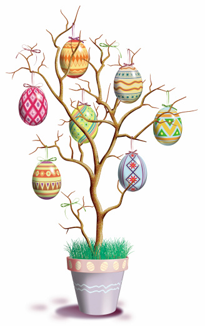 An egg tree will be found in the Narthex with egg tags asking for gift cards for gasoline, food, healthy fast food, and superstores (Target, Kmart). The cards will be arranged in Easter baskets and delivered to the families the Friday before Easter.